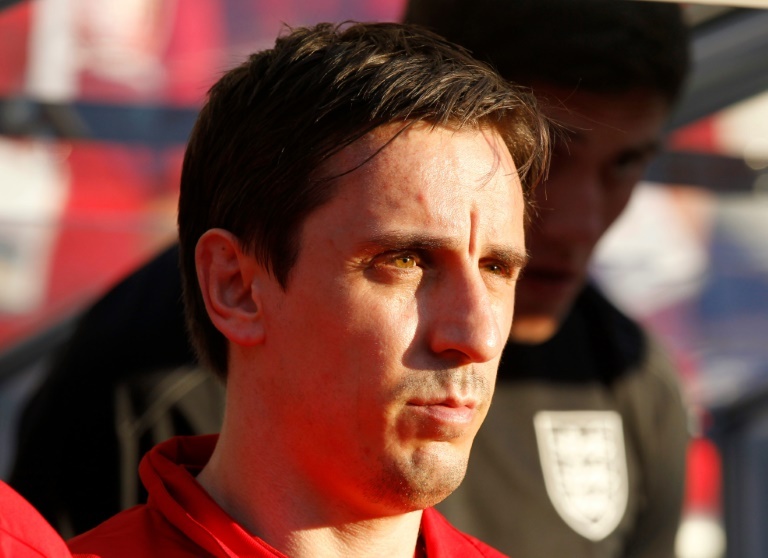 England coach and Manchester United legend Gary Neville has been named Valencia boss for the rest of the season, the Spanish side announced on Wednesday. “Valencia have reached an agreement with English coach Gary Neville for him to be coach of the first team until June 30, 2016,” the club said in a statement. SEE MORE: Valencia parts ways with Nuno after loss at Sevilla. Neville’s brother Phil has been at the club since the start of the season, working as an assistant to Nuno Espirito Santo before he left the club after a poor run of results on Sunday. “I am very excited and feel very proud to have received this great opportunity with Valencia,” Neville told the club’s website. 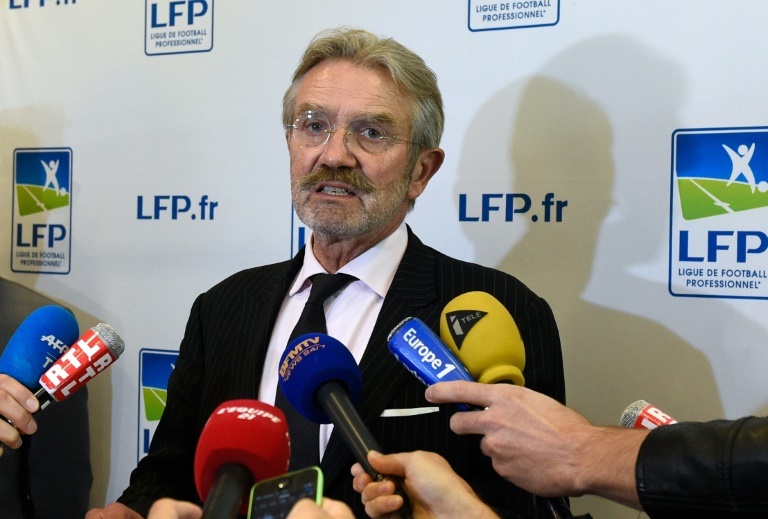 A group of professional soccer leagues from all over the world have decided to create a ‘World Association of Leagues’ following a meeting in Paris, the French Professional Football League (LFP) president said on Tuesday. The English, French and Spanish leagues are joined by 20 others from around the world in a bid to work closely with scandal-tainted world governing body FIFA. The new association will come into effect in January. SEE MORE: What happened to the FIFA voters who chose Russia and Qatar? The decision came following a meeting at the World Leagues Forum in Paris on Tuesday, which was attended by four of the five candidates to take over the FIFA presidency in February’s election to replace suspended current incumbent Sepp Blatter. “Football is not dead but its international institutions are very sick,” added Thiriez, referring to the unprecedented corruption scandal currently engulfing FIFA. Prince Ali bin Al Hussein of Jordan, ex-French diplomat Jerome Champagne, South African business tycoon Tokyo Sexwale and Asia’s football chief Sheikh Salman bin Ebrahim Al Khalifa were the four FIFA presidency candidates in attendance. Real Madrid look set to be without right back Dani Carvajal for up to a month due to a thigh injury picked up in Sunday’s 2-0 win over Eibar. “A muscle injury has been diagnosed in his left thigh,” Madrid said in a statement on Tuesday without clarifying how long Carvajal would be sidelined for. However, Madrid sports daily Marca reported the Spanish international will miss a month of action which sees Madrid face Getafe, Villarreal and Rayo Vallecano in La Liga as well as Cadiz in the Copa del Rey. A Singaporean accused of leading the world’s largest soccer match-fixing syndicate was rearrested in the city-state Tuesday about a week after he was freed by the country’s highest court, local media reported. Businessman Dan Tan, who was arrested in Sept. 2013 but never tried, was released on Nov. 25 after the Court of Appeal ruled that it was “unlawful” to keep him detained because he did not pose a danger to public safety in the city-state. But on Tuesday, police said they had rearrested Tan, also known as Tan Seet Eng, for investigations into suspected involvement in criminal activities, the Straits Times newspaper reported. Singapore’s ministry of home affairs, under heavy international pressure, had invoked a special anti-gangster law against Tan, 51, after it became difficult to find enough evidence and witnesses to file criminal charges. The law allowed the home affairs ministry to order the detention of suspected criminals without trial subject to an annual review. But the three-judge Court of Appeal, Singapore’s highest legal authority, said that while match-fixing was “reprehensible and should not be condoned”, Tan’s alleged acts “all took place beyond our shores” and no evidence was presented to show that potential witnesses were being intimidated. Chris Eaton, the Qatar-based executive director for sport integrity of the International Center for Sport Security, had also criticized the court’s ruling and urged Singapore to update its laws. “Dan Tan Seet Eng wrought enormous damage in the global sport of football. Evidence of it abounds internationally,” Eaton told AFP last week. Persistent allegations that affluent Singapore is a major hub for match-fixing have stained its reputation as one of the world’s least corrupt nations. Singaporean Rajendran R. Kurusamy was sentenced to four years in jail in September for conspiring to rig a Malaysia-East Timor match at the Southeast Asian Games in Singapore in May. In July 2014, Singaporean nightclub owner Eric Ding was jailed for three years for providing prostitutes to three visiting Lebanese referees in an attempt to fix future matches. Police say global match-fixing generates billions of dollars a year in revenues, fueled in part by the popularity of online betting on match results and more minor game statistics. In a book about Singapore’s deep links with global match-fixing, local investigative journalist Zaihan Mohamed Yusof said authorities swooped on Tan’s gang after uncovering plans to rig qualifiers for the 2014 World Cup in Brazil. Experts have said that easy international transport, a passport accepted around the world and fluency in English and Mandarin have helped Singaporean fixers spread their influence abroad with the support of external investors, most believed to be from China. Tan first came to prominence when fixer Wilson Raj Perumal, also a Singaporean, was arrested and jailed in Finland in 2011 for fixing top-tier games there. Perumal, now assisting match-fixing investigators in Hungary, had told prosecutors he was a double-crossed associate of Tan. Listen to the latest episode of World Soccer Talk Radio featuring an interview with sports presenter and commentator Christian Miles. In the interview with Christian, he discusses his role at Fox Soccer Channel during the formative years of the channel, his opinions about the MLS Cup playoff semi-finals, LAFC going toe to toe with the LA Galaxy, some of his favorite memories of what a typical Saturday was like at Fox Soccer Channel, and how things have changed so much.